Tooth decay can be very painful and look unattractive at the same time. If you live in Woodland Hills, California, or the surrounding Los Angeles area, visiting Alexander Visot, DDS is a great way to get your tooth decay treated. Dr. Visot can give you fillings that protect your oral health and help you attain the perfectly healthy smile you’ve been looking for. Call the office or use online booking to schedule an appointment today. Are fillings right for me? Fillings are used to fill the extra space in your tooth with a durable material if you’ve suffered from tooth decay. Anyone who has decayed teeth or cavities can benefit greatly from getting a filling. Dr. Visot determines whether you need a filling at your initial visit. During your examination, he inspects your teeth carefully, and if anything seems abnormal he may request X-rays to confirm how severe the damage is and exactly which teeth need treatment. Gold fillings are expensive but also very durable. It usually takes more than one visit with Dr. Visot to have them placed perfectly. However, it is well worth it as gold fillings can last for over 20 years. Silver fillings are very durable as well and they aren’t as expensive as gold fillings. However, the silver color makes them unsuitable for filling visible areas in your mouth. 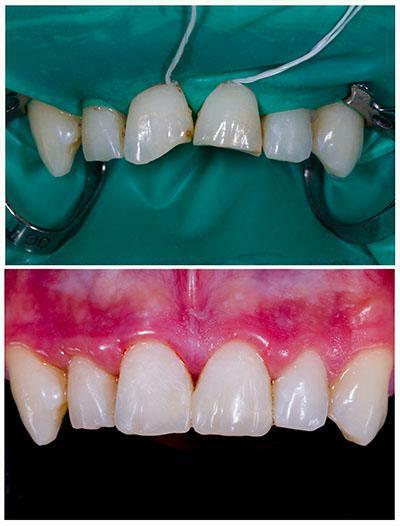 Composite resins can last up to 10 years and Dr. Visot matches them to the natural color of your teeth. However, these fillings are more fragile and chip and stain relatively easily. Porcelain fillings are resistant to staining and Dr. Visot matches their color to that of your natural teeth. However, they’re a more expensive choice. What should I expect when I get a filling? When you come in for a filling, Dr. Visot generally gives you anesthesia first so you don’t feel any pain while he removes the decayed material from your tooth and replaces it with the new filling material you selected. The amount of time it takes to get your actual filling depends on the material you choose and the extent of the damage to your teeth. For example, silver fillings are very easy to place and take from 20 minutes to an hour. After the procedure, you should avoid eating very hot, very cold, and very sticky foods for at least one day. You may experience sensitivity to heat and cold on the tooth with the new filling, but this generally goes away in one to two weeks. If you are suffering from a cavity or tooth decay, don’t put off treatment. Call Alexander Visot, DDS in Woodland Hills, California, or use online booking to schedule an appointment and get the beautiful, healthy smile you deserve.